Every year I say I'm going to make my Christmas cards but never do and end up buying them instead. But this year I'm actually having a go at making them, don't all fall over in shock! The idea came to me when I managed to locate an EK Success stag punch in a local craft shop, I had been after it for ages but only ever saw it for sale online in America but didn't want to pay stupid shipping fees! 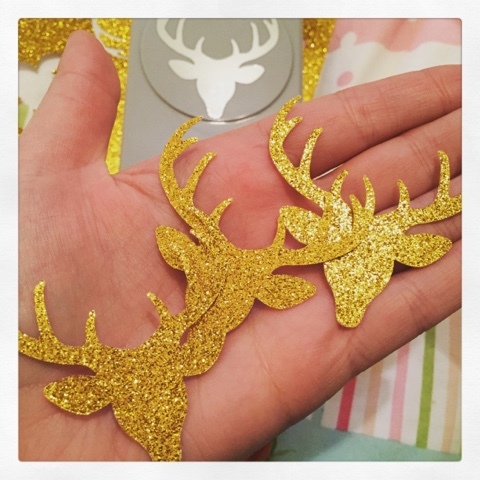 I thought the stags, or reindeer, would look great punch from gold glitter card and I wasn't wrong. Of course I didn't have any gold glitter card in my stash so I went to Hobbycraft to stock up. As you can see a few other things jumped out at me! 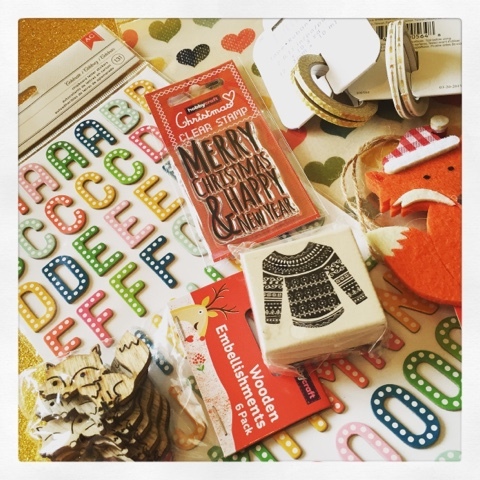 To justify a couple of my purchases, the sweater stamp I had my eyes on last year but never brought it so when I saw one left for 50p, well it would have been rude to leave it! 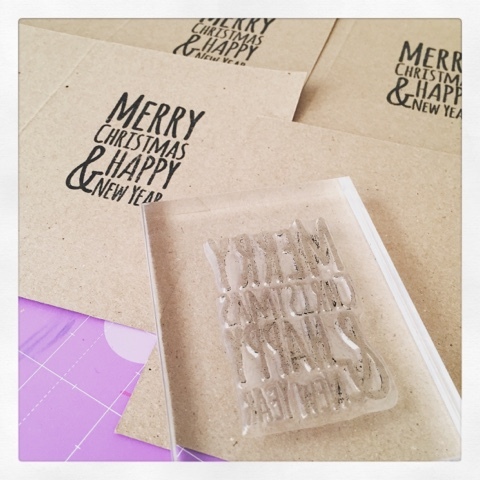 The sentiment stamp has been used for the sentiments inside my cards, I sat last weekend and batch stamped my cards. So that's my card production so far. It may not seem much to some but let's face it it's more than I've done before! Oh wow - not seen that punch before and it is lovely - great sentiment stamp for the insides. I look forward to seeing the fronts sometime soon - great bargain with the sweater stamp!! Ooh yes, that's a great punch and I love those alphas too!